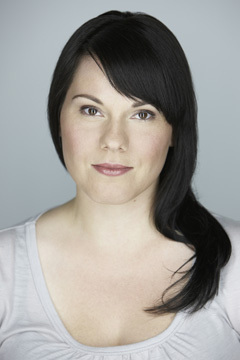 Elizabeth Bachinsky was born in Regina, Winnipeg and grew up in Prince George. She is the author of three books of poetry, Curio(BookThug, 2005), Home of Sudden Service (Nightwood, 2006), and most recently God of Missed Connections (Nightwood, 2009). Her work has been nominated for the Governor General’s Award for Poetry in 2006 and the Bronwen Wallace Award in 2004. She currently lives in Vancouver, BC, where she teaches creative writing at Douglas College and is Poetry Editor for Eventmagazine. To read more about Elizabeth Bachinsky, please visitThe Writers’ Union of Canada. Evgenia Todorova is a fourth year undergraduate pursuing a BA in English Literature and Creative Writing at the University of British Columbia. Evgenia Todorova (ET): First off, I’d like to thank you for coming today. It was great attending your launch at the Heritage Hall on May 5th, where your book God of Missed Connections was one of four books being launched by Vancouver writers. You were first published when you were 24, and your first book Curio was published when you were 29. Do you want to talk a bit about how you got into poetry? Elizabeth Bachinsky (EB): I’m one of those people who started really young. I remember when I was a kid, before I could even write words, I used to make a little book and just put lines on the page and pretend that they were text. But I really started seriously writing, rather than just in my journal as a teenage scribbler, probably when I was twenty, twenty-one years old. And I decided that I could either study music, or I could study writing, I couldn’t do both, so I decided to study writing. ET: Did you read a lot of poetry when you were younger? Was there anyone that had a lasting impression on you, either because of your affinity or disdain for their work? EB: The first book of poetry that I remember reading is a book that my mom had on the shelf and it was called A Book of Good Poems. It was a textbook from when she was in high school in Regina, and it had poems fromT.S. Eliot and Emily Dickinson among other writers. I remember really enjoying that book a lot, and reading it and rereading it. And also the poetry of Robert Service. That was on the shelf as well. We weren’t huge readers in my house, but there were a couple of books that I seem to remember reading. So, Robert Service, of course, we had on the shelf because I spent some summers in the Yukon. My dad is a bush pilot, so, we would go up there and live with him and he would fly the geologists around and, of course, we came home with Robert Service. So, those kinds of silly ballads have really stayed with me, for sure. But would I say I have an affinity with any of those writers? Well, certainly T.S. Eliot and Emily Dickinson. Emily Dickinson is one of those writers that I have been bashing my eyeballs against for lots of years and I think there is a lot more to discover in her work than I already have. T.S. Eliot, on the other hand, he’s been very important for me. Of course, I turned his long poem “The Waste Land” into an Anagram, which was a really intense project. I really got to know that poem particularly well. ET: That was in Curio. Have you seen a shift in your appreciation for poetry over the years? Has your taste changed in any way? EB: I’m a particularly open reader; I enjoy different types of poetry. So, I guess there are things I appreciate more now than I might have when I was younger. I’m trying to think of something in particular…well, Emily Dickinson. ET: She stayed with you. EB: Well, I think her work is always a mystery to me, you know, you can keep reading it and reading it. EB: Very compact and very complicated. So, I keep enjoying that work. I’m trying to think of poets that I’m less interested in now than I used to be when I was younger. I think that would be more like, it’s hard to—maybe the Beats. EB: I used to really like the Beats when I was a teenager, or a young writer. That sort of swaggering type of verse. I think I’m less interested in that than I used to be. Not to say that some Beat poetry isn’t wonderful, because it is. ET: There is a great focus today on a writer’s method. How would you describe your own? What is usually the stimulus behind a poem? Do your poems begin with an idea, or with language, that is a phrase or a few words? EB: Again, I’m a wide reader. Also, my practice is very varied. So, it really depends on the type of work that I’m working on. I’ve written a lot of procedural verse, where the form of the piece precedes the content. Then, I have books like God of Missed Connections; the content is what is driving that project. I had to find the vessel for that particular material to fill. I wasn’t sure what [that book] was going to look like before I started. To be more specific, poems in God of Missed Connections really began with lines, images, certain stories that I wanted to tell. I did a lot of research for that book, so a lot of the poems in this book sprang from the research. There is a lot of found material in God of Missed Connections, so I’m actually just reusing stuff other people have written and changing or riffing on that. There is quite a bit of metrical verse in God of Missed Connections as well, so that gave shape to some of the more amorphous ideas that were going on there. ET: Do you want to talk a little bit about the games that you have used to write some of the poems in Curio? EB: Yeah, real labour. It seems like there’s something about the work ethic to that kind of writing where you put your bum in your seat and you get there. You just got to do it, you have to do it, and it’ll never be done unless you put the work in. So, that was interesting too, it had that sort of plebeian quality. Anybody could do it; it would just take the desire and the time. I really liked doing those projects and I liked how they looked afterward: I love how they sound, I love to read them. The palindromes, which are poems which read the same way forward and backwards, those were also really challenging and interesting to work with because with the syntax, you have to really think about how you can make your lines flexible: deciding where to put your punctuation, choosing words that mean more than one thing, which are of, of course, key for that kind of writing because they can change meaning, when you say it one way, it’s one thing, and when you say it another, another. So, that was really fun to think about language in that way, to see the flexibility of that language, how it can really work for you. And other games in that book, I’m trying to remember now, I’m looking through. I had poems, I think it’s called “The Alchemist,” that section. That section is all based on Lisa Robertson‘s book The Apothecary. And what I did with this— All the poems in The Apothecary seemed to me to have—they were very formally strict. They had five lines, they were prose poetry, they were often just one sentence. It seemed to me that for many of those poems, the sense of the poem was less important than the sound of the poem. And, of course, Lisa Robertson is rather oblique on occasion, so I really wanted to explore that kind of writing. I basically wrote my own version ofThe Apothecary—taking something that already exists, and turning it into something else. It is very similar, yet very different. ET: You currently teach creative writing at Douglas College. Do you ever use any of these games as a stimulus for class projects or assignments? EB: I do lead my students through games in the classroom. I don’t use these exact games but I do use some others. I use, this is fairly common, but we play noun games, where I have the students generate a list of nouns, and then we take the nouns and you have to use them in a ten-minute period in your free write. That’s always interesting in getting the students out of the problem of writing more autobiographical work, which, of course, seems to be where so many people start, they’re writing from their experience. So the games get them away from that a little bit, and get them to think about poetry as a made thing, rather than something that’s coming from this mysterious place. ET: It’s a common misconception too, especially mistaking the speaker for the poet. ET: I’m sure you get that a lot, especially with Home of Sudden Service. ET: With a work of fiction, people don’t usually assume that the author is the character. What do you think it is about poetry in particular that leads people to connect the speaker to the poet? EB: Well, there is an economy of language that gets ideas across quickly to other people in poetry. It can. That possibility is heightened with poetry. And there is an intimate quality to poetry, and an expectation that people have of poetry to fulfill intimacy. And it’s interesting that people do connect with the work. But that’s really revealing to me. It tells me a lot about readers rather than about myself so much. I feel very fortunate when people come and talk to me about being connected to anything I’ve written. I think wow, that’s a real honour for people to come up and talk to me that way. Just recently, I was in Edmonton for a poetry festival and this woman sent me an e-mail after the reading about one of the poems in God of Missed Connections, which depicts a famine in Ukraine, or the famine in Ukraine, 1932-1933, which is calledHolodomor. Her father lived through this famine, and was just screwed up his whole life about it. And she thanked me for the poem, and she said that I had gotten it right, whatever that means, right. “You got it right.” So, I figured I was done. After I read that e-mail, I was like well, I can put that book to bed now. That is fine, that’s enough, that somebody can have that kind of connection with the work. EB: Yeah, right. So I feel pretty okay about that. And similarly, people from different parts of Canada, and, well, the American Midwest, for some reason, seems to be a hotspot for Liz Bachinsky. It’s bizarre, right? I get fan mail from Minnesota. But the people out there really loveHome of Sudden Service and those kids and how they grew up. And just recently, someone from Eastern Europe contacted me and was like, “I’m reading Home of Sudden Service.” First off, how did you get it? And secondly, wow. She was saying that even though the kids out there are a completely different culture, from a completely different place, she found connections there. We have these great human experiences that transcend culture. So, it’s exciting to see that. I’m always very honoured when people contact me in that way. ET: Is that the most fulfilling part of doing your job? After it is completed, after the process is done. EB: Sure, sure. Definitely, definitely. I’m always amazed. I meet so many amazing people. I feel so fortunate to be able to travel a little bit, and talk to those people, and share my work. I feel it’s a great privilege. ET: It’s great to be able to enjoy your job so much. EB: I do, I do. Me and my dad, we share it. He’s a pilot, as I mentioned before. He lives in Hall Beach, which is on the northern tip of Baffin Island. And, whenever he comes to visit me, he says, “I’m so lucky, I get to go to work every day, and I love what I do.” So, we share that, for sure. ET: So, how do you feel about teaching poetry? Do you feel the same way about teaching as you do about writing? EB: I do, I really do. I love my students. I think that they’re interesting, they are engaged, they are curious, they are excited, they are ebullient. Often, my students are young, so they are coming to poetry with not a lot of expectation. Or at least, they have ideas about what poetry is, but they never really put those ideas into practice. So, it’s exciting, you get to see them grow and change throughout the semesters. It’s wonderful. ET: I guess you are a believer that you can teach poetry. ET: So, when you’re teaching, would you say the process begins with each student’s writing? Do you have books that teach how to write, for example the Anne Lamott books, or the Natalie Goldberg book, Writing Down the Bones? Do you use such material or does it begin with each student’s individual work? EB: Usually in the classroom, it starts with the student’s work. I like to see what it is that they are doing, so that I can— Because we are all individuals, right? Each person in my classroom is going to have a different strength or different area they are going to be interested in. So, I try to take a look at what they’re doing before I give them any ideas about how they might go about doing it. I think that’s a pretty good place to start because then you’re not prescribing right away, and you aren’t shutting people off or shutting them down. You are just saying, “Ok, how about this direction? You might be interested in this or that.” Once I’ve seen the direction that students might like to go in, sure, I’ll use Natalie’s work. Or, Kenneth Koch has some great exercises that are a lot of fun. What else do I like to use? Well, I guess I look also to poets. I say, “Okay, let’s try to write a poem like…” I’m trying to think of a good example, poems that I’ve actually used in a classroom. We write instructional poems, when students try to teach me how to do something that they know how to do really well. That’s a very fruitful exercise; it gets people out of themselves a little bit. And, of course, a sonnet—the second you throw a sonnet at students, all kinds of interesting accidents happen, which is pretty wonderful. ET: The best work comes out of the accidents. ET: Okay, let’s talk a bit about your new book God of Missed Connections. In the first poem of the book “goddess of safe travel,” you talk about history and say, “because to plough it, you’ve got to own it.” I was wondering, what this means for you in relation to your own history? EB: Well, a couple of things. First off, we are on First Nations land. So, really, I like to ponder that question quite a bit. ET: And you tell the reader to ponder it. ET: That’s interesting, because when I read it, I was only thinking about your heritage, your Ukrainian heritage, but there’s so much more in that phrase. In the postscript of your book, you said you were one of the people of your generation who were unaware of some of the basic history of the Old Country and the New. You were born in Regina, and you grew up in Prince George, and you are, of course, of Ukrainian descent. What is it that spurred your curiosity to explore a cultural identity? Is there something that incited this recently? EB: Well about five years ago, my girlfriend Trish Kelly called me up, and she was like, “Hey, how are things going in the homeland?” And I was like, “What are you talking about? That is ridiculous. (Laughter) I’m in my homeland.” So, she really got me thinking and I realized that I didn’t know anything about how things were going. There was a big blank there. I’ve always been really interested in the culture of my family. My parents met at a Ukrainian dance camp in Moosomin Saskatchewan, they are dancers, they are performers, they are singers. My grandfather was a musician—just a really active family in that way. So, it’s always been a part of our family. Also, food, that’s often the thing that, even through the generations, will get passed on. We do a Ukrainian Christmas. I can make all that food, which seems incongruous at times, that you can have that connection. So really, the instinct was there to look into that type of stuff. But then, when I started doing the research, I was just floored by how much I didn’t know, really key cultural events. The fact that, again, between two and a half and ten million Ukrainian people starved to death in 1932-1933 in eastern Ukraine. I mean that’s enormous. Why wouldn’t we have heard about that? Well, of course we didn’t hear about that because no information was coming out of that part of the world until quite recently. And, internment camps in Canada, during the First World War. Five thousand Ukrainian-Canadians were interned in what is now our national park system. You know, that just seems wild to me that that isn’t part of the history of Canada. Not in the books anyway, not in the books that I read when I was a kid. My research was really eye-opening for me. Especially eye-opening in thinking about how this country was built and on whose labour. ET: Do you want to talk a little bit about how you went about tracing your roots. There’s so much, I know, especially in the poem “The Wax Ceremony,” there is a lot of found material. EB: For sure. It was really hard. There are a ton of textbooks out there. I actually wanted to put the whole bibliography at the back of the book, but my publisher was like, “It’s a bit crazy, it’s a bit much.” If people are interested in seeing that bibliography, I’m very happy to share it with them; they just have to go through my publisher. So, I just started collecting books, I’d go to second-hand book stores, and anything that I could find that had the word Ukrainian-Canadian in the title, or that would explore that subject I would grab it—a lot of first—person accounts of early settlers in Canada, a lot of textbooks from the CIUS, the Canadian Institute of Ukrainian Studies. I was lucky, I got to go to the University of Alberta for a reading, and that’s, of course, where they have an office. So, I was able to get a whole bunch of books from there, includingThe Word and Wax, which is Rena Jeanne Hanchuck’s amazing book, with the incantations that are throughout God of Missed Connections, which are fascinating, they are just really wild. So, I just gathered and gathered and gathered, until I had a lot of books, and then I just started reading. I think the most important books though, if people really want some books that are going to give them some very interesting information, one would be No Streets of Gold by Helen Potrebenko, who is an amazing story-teller, I really love her work. Also, of course, Myrna Kostash’s All of Baba’s Children. I use a lot of found material from a book called In the Shadow of the Rockies in “The Wax Ceremony.” All that weather stuff that you see, that’s all from the log book that was kept at Castle Mountain, the Castle Mountain Internment camp. So, it’s just really banal, kind of “work continued as usual, work continued as usual, work continued…” And lots of weather, again Lisa Robertson, I love her work, a little bit of a nod to her as well. ET: How about within your own family? Did you start asking a lot of questions, learning about the family history? Or was that not as big a part of it as the research and the books? EB: That was certainly a part of it. My parents really are the place where I went to for a lot of information about our family. But again, part of the missed connections is that my parents were born in the Prairies, in Regina in Winnipeg, where there’s a big Ukrainian community, and when I was four years old, we moved to Prince George, northern British Columbia. And apparently there are a lot of Ukrainians living there now, but I don’t remember there being a big Ukrainian community there when I was growing up. So that really wasn’t a part of our culture. Our culture was really the culture of pilots, geologists, and loggers and my school, my music, I used to play violin. The stuff that stuck was music, dancing, singing, all that kind of stuff. That stayed. EB: Yeah, the arts stayed. But anything that would have been a little bit more everyday kind of stuff, not so much. I found out stuff about my family that was fascinating. The fact that we were all card-carrying communists, that’s pretty interesting, that they were part of the labour movement, that some of my great aunties worked atHolt Renfrew in the shmata business. It’s interesting, I just had no idea. ET: How much was Ukrainian part of your identity growing up? Would you have considered yourself a Ukrainian-Canadian? Especially since when you are kid, you just want to assimilate and blend in; you don’t want to stand out. EB: Sure, sure. I definitely always thought the Ukrainian part of our family was pretty important. I grew up in the ‘80s, you remember, which was sort of the last great hurrah for multiculturalism in Canada. It was the word on everybody’s lips. I remember in grade two, they had multicultural days in our elementary school, Meadow Elementary, which is now a medical clinic in Prince George. But that’s another book (Laughter). They made us all come and bring different types of food to school, our ethnic cuisine. Then I also remember coming to school in my little Ukrainian dancer outfit, that kind of stuff. I think back to that and I think: it was actually all kind of celebrated a little bit that we were different cultures. But I hear what you are saying about the whole assimilation thing. I think our generation is pretty lucky in that there isn’t a lot of racism associated with being Ukrainian these days, I don’t think, although certainly there are moments. Previous generations were not so fortunate. ET: There is an interesting epigraph in your book by Andre Bitov that says, “They [the young people] have forgotten as much as they learned and how much they have forgotten in vain.” I was wondering if that is about young people not knowing their own histories? ET: Do you think young people are interested in their histories and should they be? EB: I do think that, I do think that. But I think it’s hard to forget something that you never knew. So, if those stories aren’t being told in your family for whatever reason, censure, or lack of interest, or fear, or xenophobia, whatever reason, it’s hard to feel particularly guilty about not knowing those stories, because no one ever told me. So, really it’s upon the young people to ask questions, and say, “Well, why do we do things this way? We always use this kind of flower, and we always use this ceremony at dinner, or whatever.” You have to ask, why are we doing this? Be curious. I think that the only thing that will kill culture extremely extremely quickly is a lack of curiosity, and of course, curiousness means that you have to care (laughter). I’m asking young people to care, to be curious. ET: How do you feel this collection fits in with, differs from or adds to the Canadian immigrant experience, even though you are many generations Ukrainian-Canadian? In general, do you think it is representative of all immigrants? EB: I actually don’t think that. Just recently, I was talking to a cabbie, who was from Ethiopia, and he was saying, because we were talking about the book, he was really curious about it, and he was like, “It’s really good that you are writing this book, that you are so interested in your ancestors, you got to keep doing that work, it’s really important. But, you know, I’m so lucky because I just moved here twelve years ago, but you can’t say those things anymore, you can’t say…” Like Stephen Leacock, there’s a quote in there, where is it? I’ll read it, I’ll see if I can find it—it’s an unbelievable quote. It’s a good example of the stuff…Here it is. It says, “A little dose of them [meaning Ukrainians], may even in variation, do good, like a minute dose of poison in medicine… I am not saying we should absolutely shut out and debar the European foreigner as we should and do the Oriental. But we should in no way facilitate his coming.” And that’s Stephen Leacock in 1930. You can’t say that stuff anymore. So, that cabbie was right, things have changed, there are laws, there are protections for people who come to Canada these days, you know. ET: That’s an insane quote. EB: It’s a totally insane quote, right. It just reminds you, how easy would it be to go back to a place where this kind of thing happens. I think it’s not really that hard, if you really think about. It’s really all about what we are willing to allow, and what we are not willing to allow. I think that’s really where this book resides, in regards to that question. It’s asking: what would it take to go back to that place? I think part of what it takes is to not be curious, to not ask questions, and to forget that, in fact, we all came to this country and we need to be aware of that. So, that’s a long answer. EB: …with which [one has] no experience? I found it nearly impossible. It’s just so hard to deal with. There’s a lot of information out there about Holodomor, there are some websites, there are accounts on YouTube, some of the poems in this book like “The Breadbasket of Europe,” which talks a little bit about that trouble. It is nearly impossible to watch, it’s unbelievable. And, of course, this type of thing is still going on, people are starving. And it’s a terrible, terrible way to die. And you think about where you live, in Canada, and how fortunate you are. And there is this quite hopeless feeling, and you think, “Well, I’m me, I’m not a particularly powerful person, and I’m not a particularly rich person, I’m not particularly anyone.” What are you suppose to do in the face of such horror? So, the poem in the book, “Holodomor,” is just a blank page. I think that says a lot about that helplessness. And also, it says a lot about the fact that not only is it difficult to talk about that sort of stuff, but also a lot of people were not permitted to talk about that kind of stuff. So, there’s that weird place too, where you are like, okay well I do have this fortunate life, and I have the freedom to write anything I’d like. That is also a tremendous privilege and responsibility, that if you are fortunate enough position that people will read your work, you should really think about what you have to say, on occasion. So, was it hard to write about? Yes, super hard to write about. People should look up those YouTube videos. ET: To what extent would you consider God of Missed Connections to be political? Because you talk aboutdepleted uranium weaponry that is used by US forces in Iraq, and liken the effects to those of Chernobyl, you also talk about environmental catastrophes and AIDS; in the poem “Celebration.” The poem “Goddess of Incongruity” begins with the line, “All our lives we’ve known the atomic bomb, but that’s ok, we’ve got these Sedans.” Great line. EB: Well, I’m not a particularly political person, although it may appear that way. I’m a writer. So, what I do is I just look out there and I respond to what I see. This is the material of my life right now. These are the media that I’m coming up against, these are the images that I see when I look outside my window. I’m always considering where I am as an individual, and how I fit in, and does that even matter and all these types of questions. I think that the politicizing of work tells me a lot about readers, again, you know. Writing is a funny thing; it doesn’t really exist until it is out in the air, until other people have something to say about it. So many books just disappear. Which again, this might be a missed connection, maybe this book it will disappear too, you don’t know. I guess I’m interested in that kind of stuff. So is this a political book? Maybe. (Laughter) I’ll put it as a maybe. ET: In general, what role do you think art plays in politics? How much of a say do you think writers or artist have? EB: Very little. I think artists and writers have very little say in a political arena. I think that writers and artists are consistently marginalized in a political sense. I think that particularly right now it’s not a very great time to be a writer or artist in Canada. It’s very tenuous. But then you have to return back to the question about people who can’t write at all, who can’t say at all what they would like to say. So, we are a very fortunate bunch, as well. You have to keep that in mind. To write a book with a political agenda seems to me to be not out of the question. But, politics change and good writing doesn’t, right? Our readings of it can change, but the thing itself, if it’s any good, will last, I think. ET: Did you have an intended audience for the book, or did you just put it out there? ET: You dedicated the first poem of the book to her. EB: Yeah. Really, I know that sounds crazy, but I write a lot of my stuff for my sister. I think the reason why I think of her, so maybe she is like the muse, I think of her because, especially with this book, there were so many stories that I wanted her to know. I wanted her to know about all of this, the whole subject, I wanted her to know about it. So in a way I’m kind of writing for myself through my sister. I always remember that in the best of all possible worlds we have an audience. As long as I can imagine saying stuff to my sister, somebody is receiving it, somebody is receiving this information. It’s important to me that she understands what I’m talking about. If I imagine my sister going, “Er, what do you mean?” then I always rethink the way I’ve said something. My sister is very intelligent, smart, beautiful, talented young lady. So, I figure she is a perfect audience. ET: I read somewhere in an interview that you were thinking about turning “The Wax Ceremony” into a film. EB: I would love to turn “The Wax Ceremony” into a film. I think it would be a pretty effective film—not a long thing, not a full-length feature, just a small something. I love film. The images in that poem are really alive for me. So, I’m still trying to figure out how that would happen. I’m not a filmmaker. I’m not talented in that way. I’d really need to work with some people, and I don’t know who that could possibly be, because I don’t know any one who works in film. I don’t have any connections in that way. I know some actors and actresses; I could maybe get them to be in it. ET: What do you think it is about that poem in particular that lends itself to the medium of film? EB: I just have the first image so emblazoned in my brain: it’s just this young woman. Actually, it’s a specific young woman, Sophie Karriden in Montreal. She’s this very striking looking young lady, with long dark hair. I can see her in this ridiculous costume. Well, it’s not a ridiculous, it’s just very traditional—the traditional Ukrainian dance costume. She totters up to the camera, now here’s the ridiculous part, in these heels. Of course, in Eastern Europe, all the women wear insane footwear, which I love. So, she totters up to the camera, as if the camera is the mirror, and starts putting her lipstick on. So that’s the opening of the film, and I just want the rest of it to go from there. I think it would be fun. I guess that’s the image I want. ET: So, what projects are you working on now? EB: Sweet nothing—because I am exhausted. I’m so tired. This book just came out four weeks ago and I’ve been touring it, I’ve been teaching all this last semester, quite a lot of classes. I do have some time off this summer, so I’m going to do a lot of reading, I think, and try to get some writing done. Of course, I say nothing—and then poems just happen, so we’ll see. ET: Is there anything you’d like to add that I may have forgotten to ask? EB: I don’t think so. This has been quite a delightful interview. Thank you very much. NOTE: Links to external websites provided by Elizabeth Bachinsky.